Family plot located at Evergreen Cemetery, Springwater NY. On the back side of Peabody's monument is verse adapted from Thomas Jefferson's deathbed letter to his daughter, Martha Jefferson Randolph: "Farewell my dear family adieu / The last pangs of life is in parting with you / Two Seraphs await me, long shrouded in death / I will bear them your love in my last parting breath." 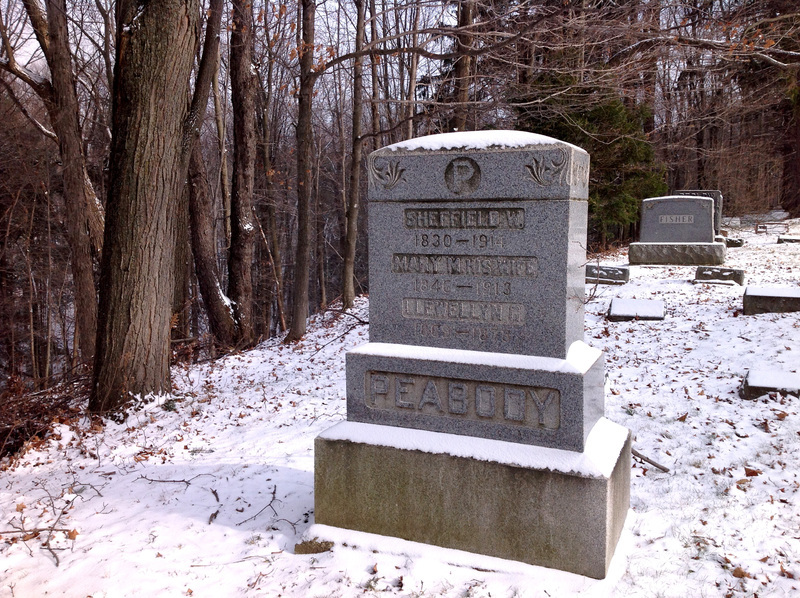 Cooper, Ken, “Sheffield Peabody gravestone,” OpenValley, accessed April 25, 2019, https://openvalley.org/items/show/58.